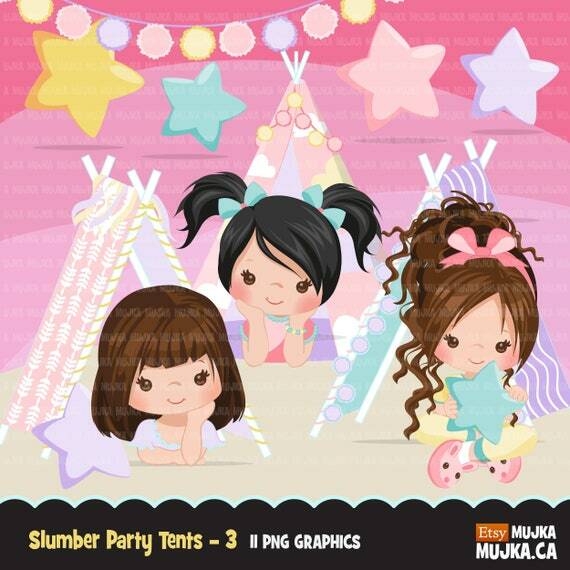 3 cute slumber party characters. Other versions available! Great for the sleepover, slumber party and movie night parties. Comes with sleepover tents, pillows and pompoms all separately saved. Perfect for invitations, planner stickers, party printables, and embroidery. Personal Use & Commercial Use with Credit: Agree to credit Mujka on the page you are selling your product. By crediting Mujka, you do not need to purchase a commercial license.